Size of the Industry This industry has indeed come a very long way with only 34 players in the market and more than 480 schemes. Output per annum The industry has grown in size and manages total assets of more than $30351 million. Percentage in world market Assets under management as a percentage of GDP is less than 5% in India as compared to 70% in the US, 67% in France and 37% in Brazil. In 1963 the concept of Mutual Funds was introduced in India with the formation of Unit Trust of India. Till 1987, UTI continued to be the sole Mutual Fund, and then later some public sector banks and Life Insurance Corporation of India and General Insurance Corporation of India set up Mutual Funds. Only in 1993 the private players were allowed to open shops in the country and today 32 mutual funds collectively manage Rs 6713575.19 cr under hundreds of schemes. In 1963, the Unit Trust of India enjoyed complete monopoly by an act of Parliament. UTI was set up by the Reserve Bank of India and continued to operate under the regulatory control of the RBI till the two were de-linked in 1978 and the entire control was transferred in the hands of Industrial Development Bank of India (IDBI). In 1964 the UTI launched its first scheme named as Unit Scheme 1964 (US-64), which attracted the largest number of investors in any single investment scheme over the years. In 1970's and 1980's UTI launched more innovative schemes to suit the needs of different investors. In 1971 it launched ULIP, between 1981-84 six more schemes between, in 1986 the Children's Gift Growth Fund and India Fund which was the first offshore fund for India. In 1987 the Mastershare and in 1990's the Monthly Income Schemes which were offering assured returns. By the end of 1987, UTI's assets under management grew ten times to Rs 6700 crores. In the year 198, The Indian Mutual Fund industry witnessed many public sector players entering the market. In November 1987, SBI Mutual Fund from the State Bank of India became the first non-UTI mutual fund in India. SBI Mutual Fund was later found by Canbank Mutual Fund, LIC Mutual Fund, Indian Bank Muatual Fund, Bank of India Mutual Fund, GIC Mutual Fund and PNB Mutual Fund. By 1993, the assets under management of the industry increased seven times to Rs. 47,004 crores. However, UTI remained to be the leader with about 80% market share. The permission given to private sector funds including foreign fund management companies to enter the Mutual Fund Industry was in the year 1993. In the year 1996 the mobilisation of funds and the number of players operating in the industry reached new heights as investors started showing more interest in mutual funds. Investors' interests were safeguarded by SEBI and the Government offered tax benefits to the investors in order to encourage them. SEBI (Mutual Funds) Regulations, 1996 was introduced by SEBI that set uniform standards for all mutual funds in India. The Union Budget in 1999 exempted all dividend incomes in the hands of investors from income tax. Various Investor Awareness Programmes were launched during this phase, both by SEBI and AMFI, with an objective to educate investors and make them informed about the mutual fund industry. The Indian Mutual funds Industry had a rapid growth as a result of infrastructural development, increase in personal financial assets, and rise in foreign participation. The industry sustains with growing risk appetite, rising income, and increasing awareness, mutual funds in India are becoming a preferred investment option compared to other investment vehicles like Fixed Deposits (FDs) and postal savings that are considered safe but give comparatively low returns, according to "Indian Mutual Fund Industry". The Indian Mutual Fund Industry is one of the fastest growing sectors in the capital and financial markets of India. Indian Mutual Fund Industry has seen dramatic improvements in quantity as well as quality of product and service offerings in recent years. In the year 1997 the Mutual funds assets under management grew by 96% between June 2003 and as a result it rose from 8% of GDP to 15%. The industry has grown in size and manages total assets of more than $30351 million. Of the various sectors, the private sector accounts for nearly 91% of the resources mobilised showing their overwhelming dominance in the market. Individuals constitute 98.04% of the total number of investors and contribute US $12062 million, which is 55.16% of the net assets under management. Open-ended funds: for these funds the Investors can buy and sell units of open-ended funds at NAV-related price every day. Open-end funds do not have a fixed maturity and it is available for subscription every day of the year. Close-ended funds: These funds have a stipulated maturity period, which may vary from three to 15 years. They are open for subscription only during a specified period. Interval Funds: These funds combine the features of both open and close-ended funds. As they are open for sale and repurchased at a predetermined period. Growth funds: They normally invest most of their corpus in equities because their objective is to provide capital appreciation over the medium-to-long term. 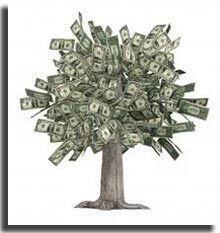 Income funds: the aim of these funds is to provide regular and steady income to investors. They generally invest their corpus in fixed income securities like bonds, corporate debentures, and government securities. Balanced funds: The objective of balanced funds is to provide growth along with regular income. They invest their corpus in both equities and fixed income securities as indicated in the offer documents and are known for income and moderate growth. Money market funds: These funds strive to provide easy liquidity, preservation of capital and modest income. MMF's generally invest the corpus in safer short-term instruments mostly like treasury bills, certificates of deposit, commercial paper and inter-bank call money. Tax saving schemes: this scheme or equity-linked savings schemes offer tax rebates to investors under section 88 of the Income Tax Act. Special schemes: These schemes invest only in the industries specified in the offer document. Examples are InfoTech funds, FMCG funds, pharma funds, etc. Index funds: Index Funds invest their corpus on the specified index such as BSE Sensex, NSE index, etc. as mentioned in the offer document. They try to mimic the composition of the index in their portfolio. Sector specific schemes: These funds invest only in specified sectors like an industry or a group of industries or various segments like 'A' Group shares or initial public offerings. Individual investors make up for 96.86% of the total number of investor accounts and contribute 36.9% of the net assets under management. The size of Indian Mutual Fund Industry has grown and now has the boast of having dominance in this industry. In April 2008 the total Asset Under Management popularly known as AUM has increased from Rs.1, 01, 565 crores in January 2000 to Rs.5, 67, 601.98 crores. According to the Association of Mutual Funds in India, the growth of mutual fund industry has been exceptional. This industry has indeed come a very long way with only 34 players in the market and more than 480 schemes. 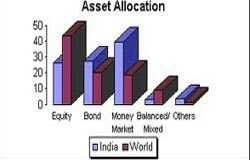 Despite the growth of Mutual Fund Industry, penetration levels in India are low as compared to other global economies. Assets under management as a percentage of GDP is less than 5% in India as compared to 70% in the US, 67% in France and 37% in Brazil. The industry has grown in size and manages total assets of more than $30351 million. Of the various sectors, the private sector accounts for nearly 91% of the resources mobilised showing their overwhelming dominance in the market. Individuals constitute 98.04% of the total number of investors and contribute US $12062 million, which is 55.16% of the net assets under management. Indian Mutual Fund Industry is playing an active role in the capital market today and is one of the fastest growing industries in the country. The industry offers multiple career options to the youths irrespective of their academic subjects. Graduates from arts, science and commerce can easily find a job in this promising and growing sector. Due to the participation of private players and many financial institutions into the mutual funds markets, they have further widened the scope of employment in this sector. Career in Mutual funds require the minimum qualification of a certification (Advisor Module) and a registration number from the Associations of Mutual Funds in India (AMFI). SEBI has made mandatory for any entity or person engaged in marketing and selling of mutual fund products to pass AMFI certification test (Advisors Module) and obtain registration number from. This certification remains valid for 5 years from the date of the test. 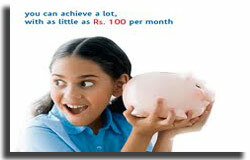 The Indian mutual funds retail market, growing at a CAGR of about 30%, is forecasted to reach US$ 300 Billion by 2015. Income and growth schemes made up for majority of Assets under Management (AUM) in the country. At about 84% (as on March 31, 2008), private sector Asset Management Companies account for majority of mutual fund sales in India. The Rs.7.2 trillion Indian Mutual Fund Industry is revisiting its business model to be in sync with the new norms put in place by the capital market regulator, the Securities and Exchange Board of India, or Sebi. India has 36 asset management companies (AMCs) and at least some of them are planning to start their own distribution business instead of selling funds through third-party distributors. Among other things, they plan to cut distributors' commission by 25-30 basis points (bps) and shift their focus from frequent churning of funds to managing money for the longer term. One basis point is one-hundredth of a percentage point. Out of the 32 crore employed Indians, only 2.5% are investors. Many investors, particularly youth mostly having the dispensable income opt for mutual funds to enter into the securities market indirectly. Hence, potential investors in mutual funds need evaluation not only by financial institutions but also by academicians so that they can make a right choice in their investment decisions.